Professional Complete Karaoke Systems! 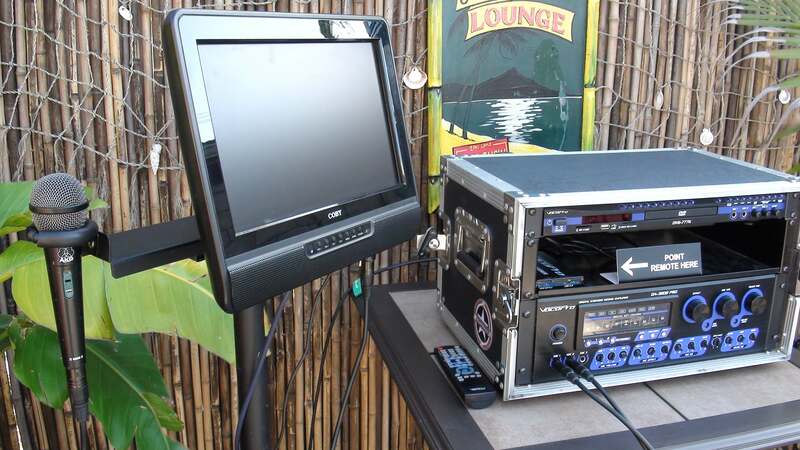 Our karaoke rental systems allow you to enjoy digital sound and on-screen lyrics!. Plug in your phone, laptop or tablet too! Our San Diego karaoke rentals allow digital key control changes, so you can sing in the key that’s most comfortable for you. Makes an excellent PA System too! Make announcements, be your own DJ or sing your heart out with over 8,000 karaoke songs! Have a karaoke club in your own backyard! With our Standard system, you get a touchscreen tablet songbook with a listing of all songs, two wired microphones, two Peavey PR10 professional PA speakers and stands, 15″ LCD TV and stand for lyrics display, full-featured karaoke machine, free delivery, setup and free pickup*, over 8,000 songs. 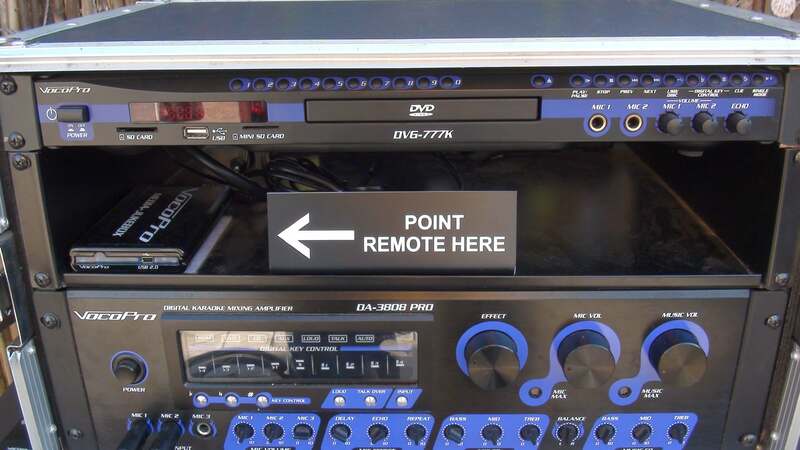 With the Pro system, you get wireless microphones, larger Peavey PR12 professional PA speakers, and 19″ HDTV upgrades. Plug in your phone, tablet or laptop to play your own music! 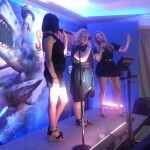 All San Diego Karaoke rentals are simple to use. 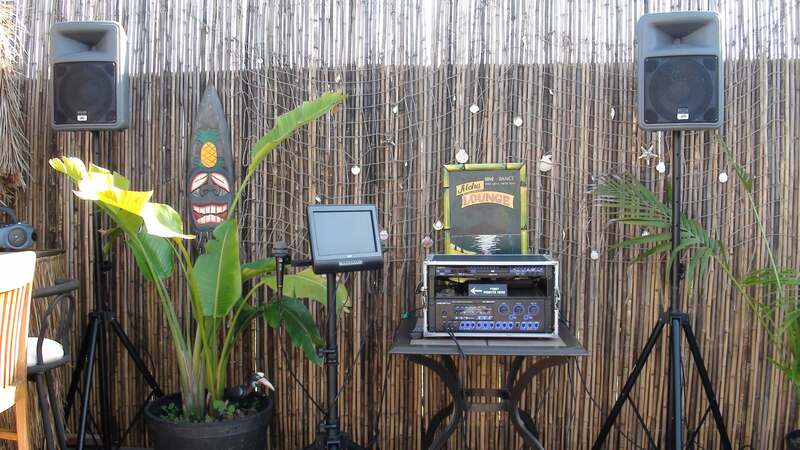 We setup the equipment and show you the 3 easy steps to enjoy your karaoke machine. 1000 watts of power combined with our Peavey brand professional PA speakers on stands give plenty of volume so the whole room can hear and enjoy your performance. 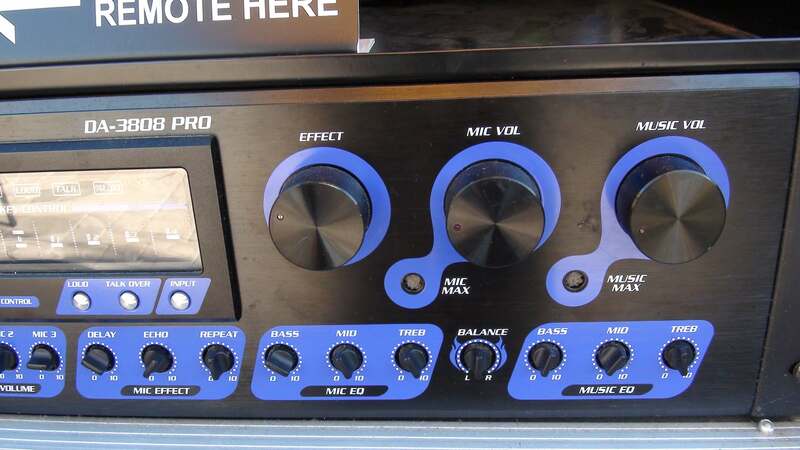 We recommend the Pro system upgrade for groups of 50+ and/or outdoor setups. Also if you prefer wireless microphones. Older guests really enjoy the larger 19″ HDTV. Call 858-356-6622 today to reserve your machine! By popular request, we now include over 500 Spanish songs! Plenty of songs for the kids too with many Disney favorites including Frozen. * Ground level within 100 feet of delivery vehicle. Free delivery in metro San Diego only. $25 fuel surcharge for deliveries north of 52 (including Poway, Lakeside) or south of 54. $50 fuel surcharge for deliveries north of 78 to 76 and Ramona, Alpine. No deliveries north of 76 or east of Alpine. Please note we will not deliver up any stairs beyond a normal 3 step porch. Ramps, elevators OK. You supply the electricity to the setup area and a table to place karaoke machine on.